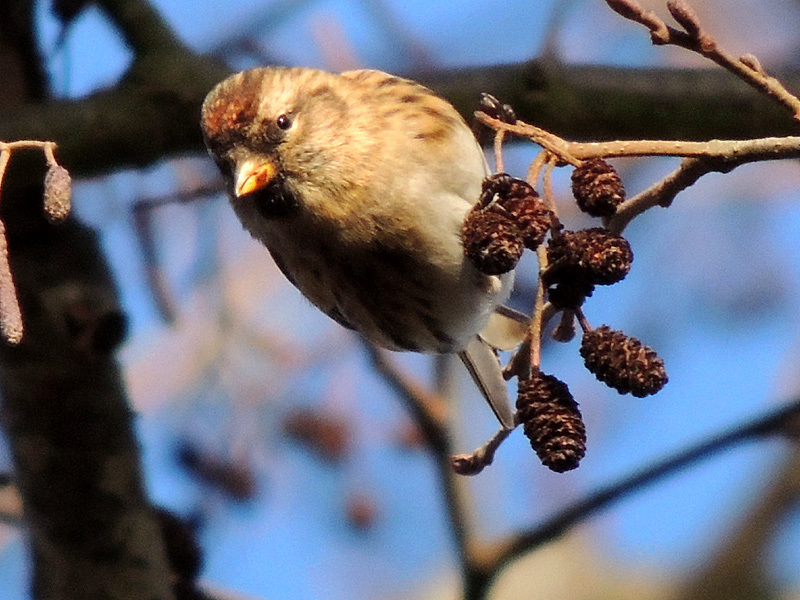 Bird featured on this page include Sparrows, Finches and Buntings. A selection of images can be seen in the gallery and then the status of each individual species on the park is detailed below that. Some of these Passerines are resident year round, but the majority will only be seen in winter or when passing through on migration. 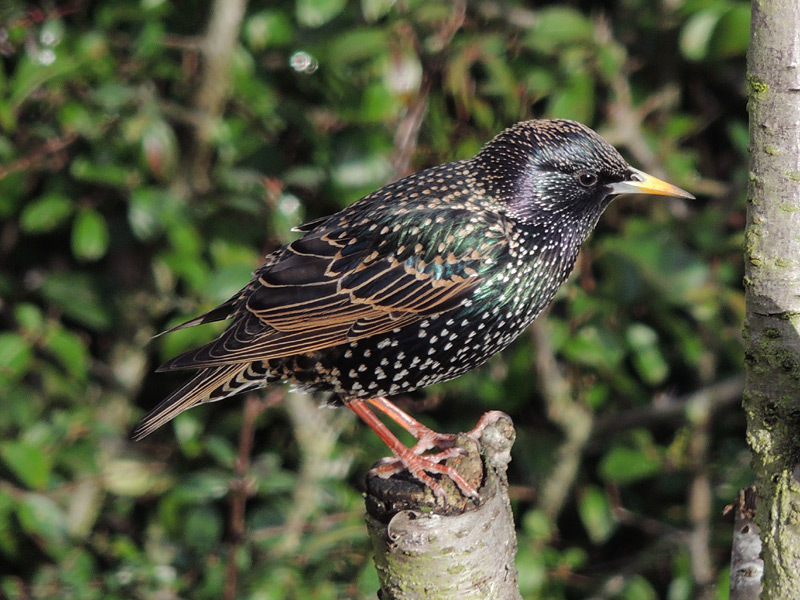 Starling Common, but no longer abundant resident. In 1983 & 1984 murmurations of 10-15,000 birds roosted on the islands on Black Swan Lake, but the closest to these numbers recently has been 3,000 17th & 18th November 2010. 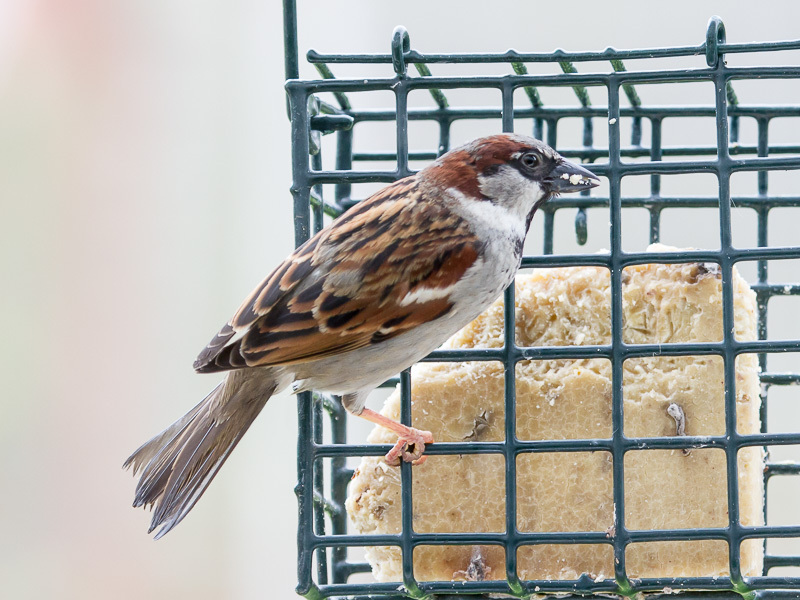 House Sparrow Stable resident around the DP main café, where a few pairs breed. Recently a few were around the aviation museum car park, but they vanished. 1-2 are showing up around Lavell’s and along the Loddon opposite Lea Farm GP. Tree Sparrow Very rare winter visitor, now locally extinct. Bred locally in 1980, the best year was winter of 1983 when a flock 12 on 3rd December, were on the feeders. The flock kept growing until 45+ were seen 21st January 1984. Sporadic records followed each year until the final 12th September 1988. 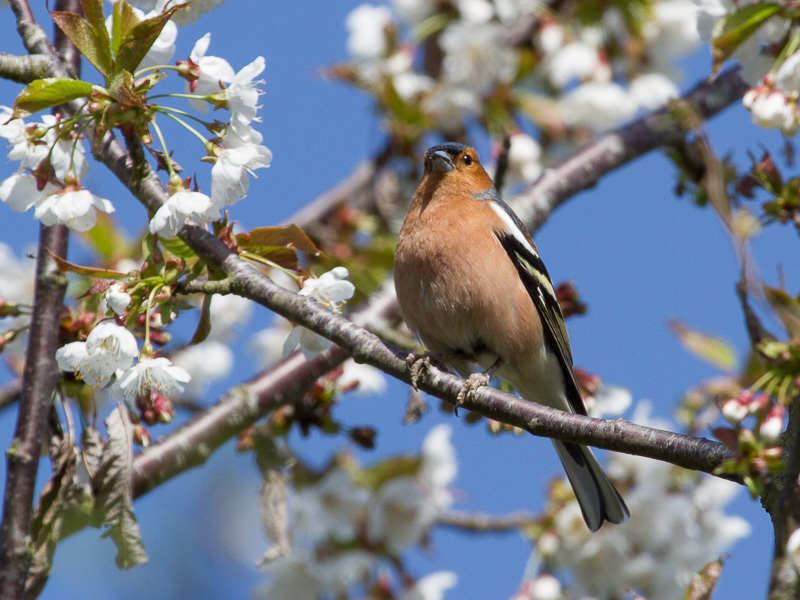 Chaffinch Common resident, with autumn passage of 100+ birds often seen from early to mid October. 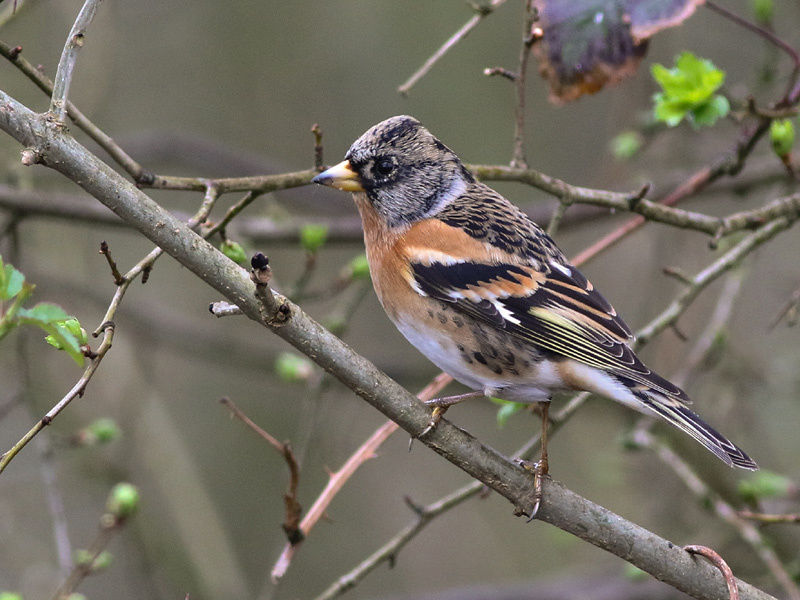 Brambling Uncommon winter visitor, but nearly annual passage sightings, mostly in mid March and early April. 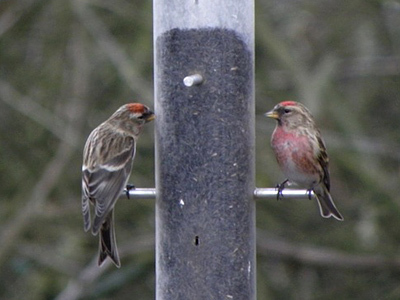 Mostly 1-2 birds occur, but the feeding station has attracted up to 20 on 28th February 2006. 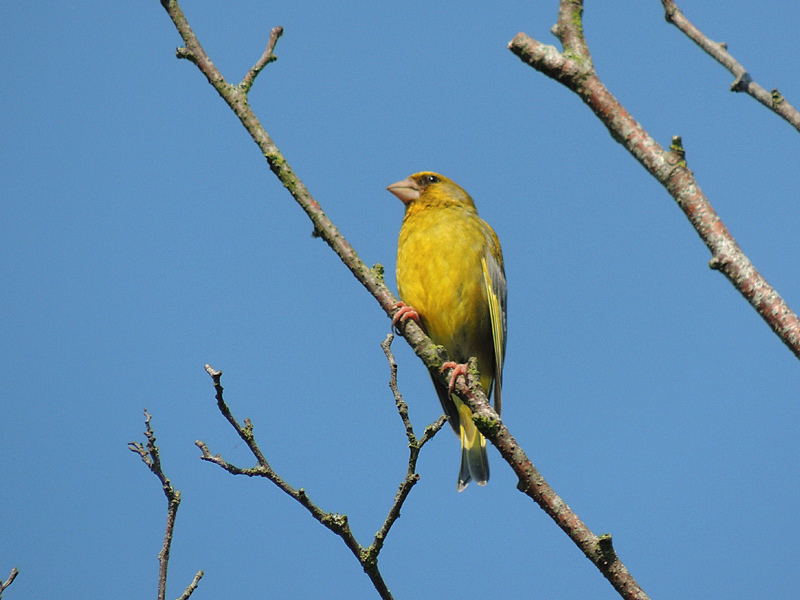 Greenfinch Common resident, but not abundant. Winter roosts in the car park field may reach 30. 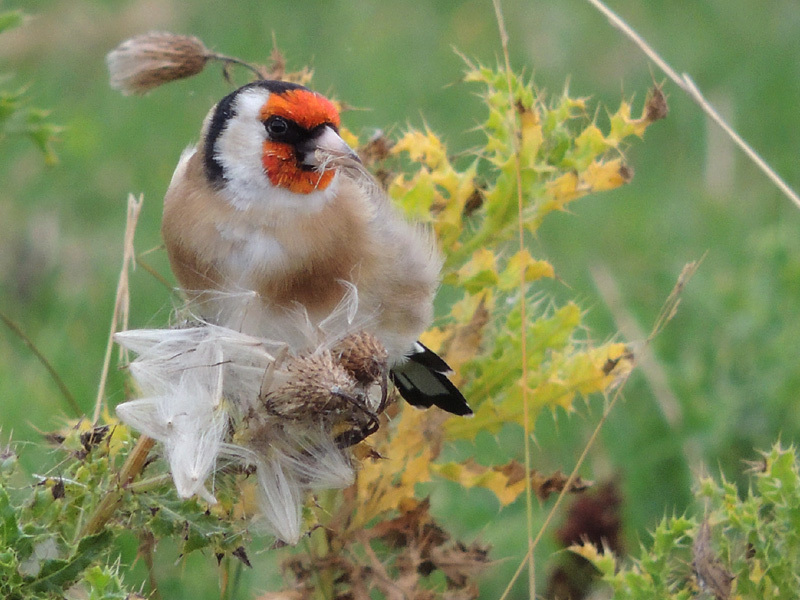 Goldfinch Common resident and fairly abundant in winter, found anywhere Alder or Teasel occurs. 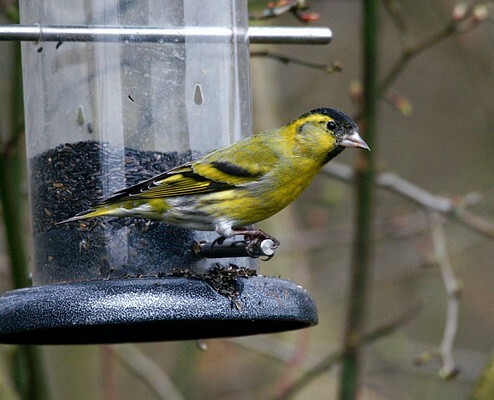 Siskin Common winter and passage visitor, favours Alder and in some years flocks of up to 300 can occur, typically groups of 12-40 are normal. Arrives mid September and departs early April. 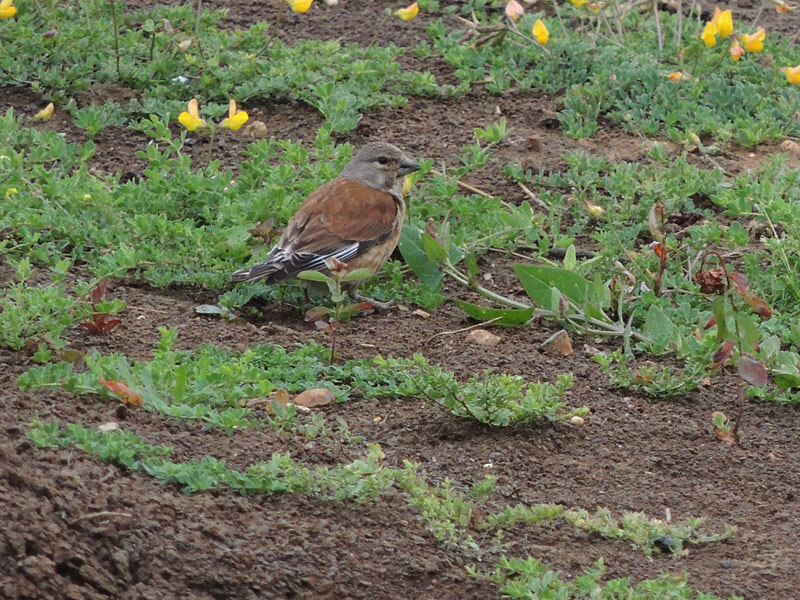 Linnet Uncommon resident no longer breeds on the park, once common but now just odd sightings of 1-2, other than autumn when some passage flocks of 10-30 occur in October. 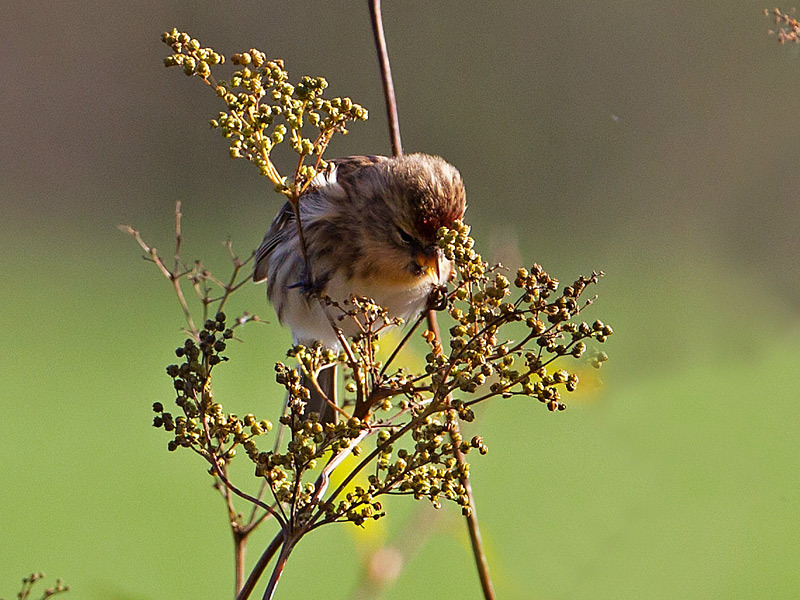 Lesser Redpoll Uncommon winter visitor, preferring Silver Birch, they occur in smaller groups typically of 2-10. Arrives late September – October, departs around mid April. 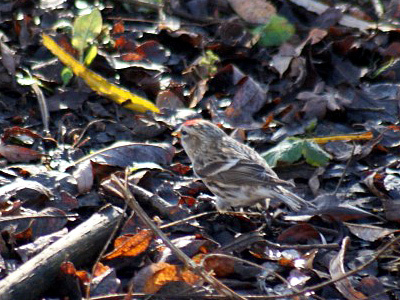 Mealy Redpoll Very rare vagrant, 3 records all in recent years. 1 on 6th December 2008, photographed under the feeders, 1 on 14th February 2010 along the Loddon, with Lessers, the last ringed 8th March 2012. Crossbill Very rare vagrant, the first record of 6 over 17th July 1991 cannot be confirmed because the initials of the observer (LB) are unknown to anyone today. The second record of 1 over 5th August 1991 is genuine, there were no other records until 4 over 30th May 2011, then the same year, 1 over 21st October & 1 over 31st December. The last was an impressive 44 over East 14th May 2012. 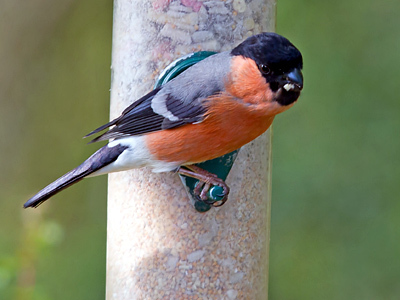 Bullfinch Uncommon but steady breeding resident. Associates especially with Blackthorn, so Lavell’s hogs most of the records, small flocks of up to 9 have been seen in 2010 and 2012. Hawfinch Very rare vagrant, 1 over 19th and 1 over 25th November 2005, the only other was a probable over 13th October 2010. 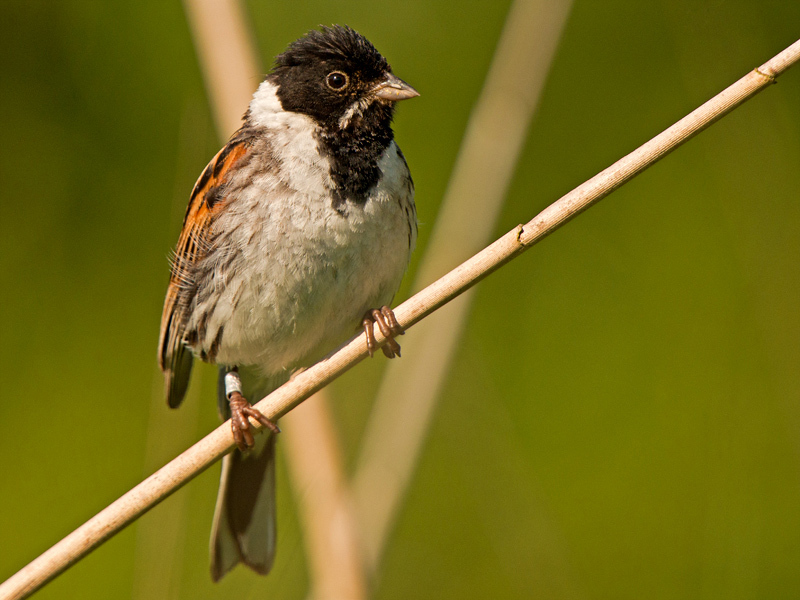 Reed Bunting Common breeding resident, benefiting from Phragmites reed bed expansion, with small winter roosts reaching double figures. Corn Bunting Extinct locally, but recorded 4 out of 5 years between 1981 and 1985. Nothing more until 2 unconfirmed reports of 1 over 2nd June 1988, then 20 over 7th April 1999. The last was one over and landed briefly in an Oak above Sandford Lane, then off West 31st March 2003.